I've had a girl-crush on Alexa Chung since 2008 and have pretty much followed her career/bought every magazine she has graced. The problem is, she usually models for high-end brands and her past collaborations have only been available in the U.S. (Although I did go a bit mental last Christmas when she released a range for Eyeko - my review and tutorial here). So when she became the face of Nails Inc, and designed her own collection of nail polishes, I was very excited. 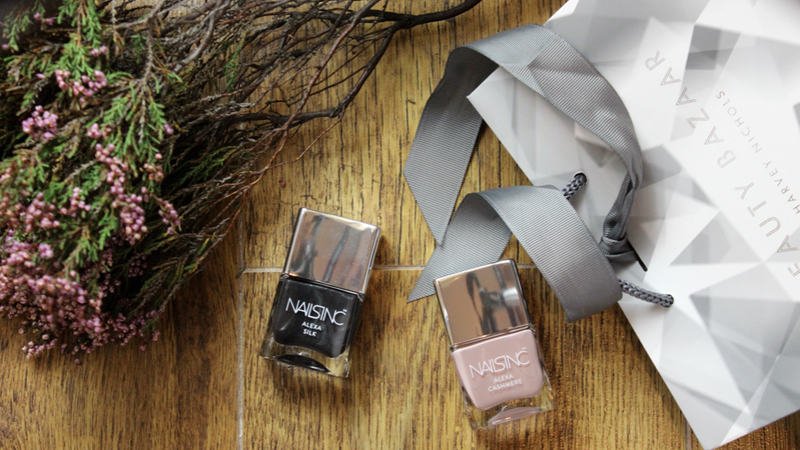 I had never tried a Nails Inc polish before - but hear great things about the colour range and formula. I popped into the Harvey Nichols Beauty Bazaar in Liverpool (gorgeous store) and went directly to the concession. The lady tried a few colours from the collection to see which I liked best. The collection itself is made up of 6 colours - named after, and representing, different fabrics and textures : Lace, Sequins, Silk, Cashmere, Camo and Leather. I went for Cashmere & Silk, which I thought were perfect for Autumn. Alexa Cashmere is a gorgeous matte effect, mink shade polish. Fused with teeny-tiny pearls to provide a subtle sheen and a luxurious Cashmere texture. 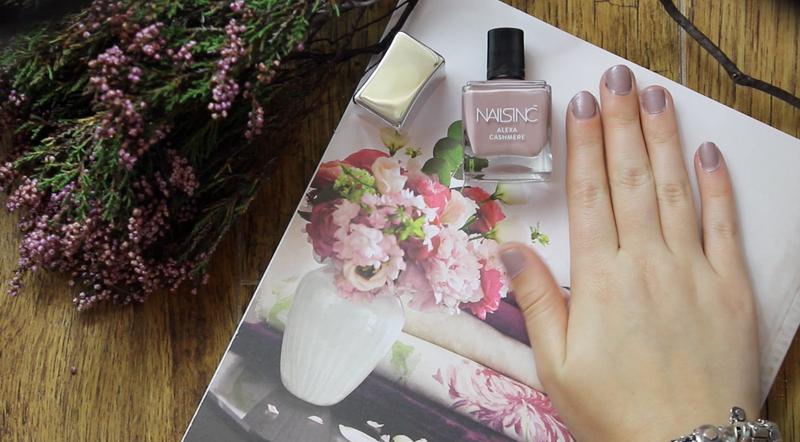 It's a really luxurious colour and reminds me of a snuggly sweater. Unfortunately I had a problem with this chipping on the first day, but I think that's because I have quite a "hands on" job and didn't use a top coat. 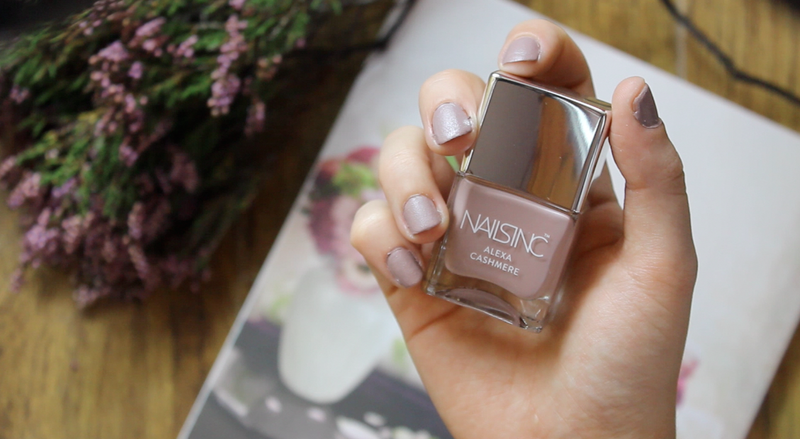 It's so lovely for Autumn/Winter and has already been awarded "Best Beige Polish" by Glamour magazine and is part of the Beauty Power List. Alexa Silk is equally as stunning, it is a smooth and rich shade of black, complimented by a fine pearl which flows through the polish like silk. 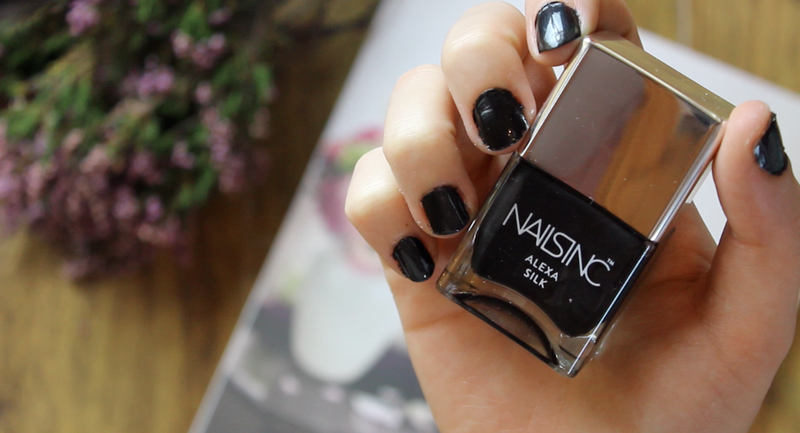 I don't usually go for black nail polish, but I thought this looked quite special. I really enjoyed using both of the nail polishes, the handle is very easy to control and the brush is quite wide enough to coat almost the full nail, yet avoids mistakes. This didn't chip for 4 days despite not applying a top coat. And I was really impressed with how easily it was removed. Quite often with darker shades of any branded nail polish, it can stain the nail but this didn't. 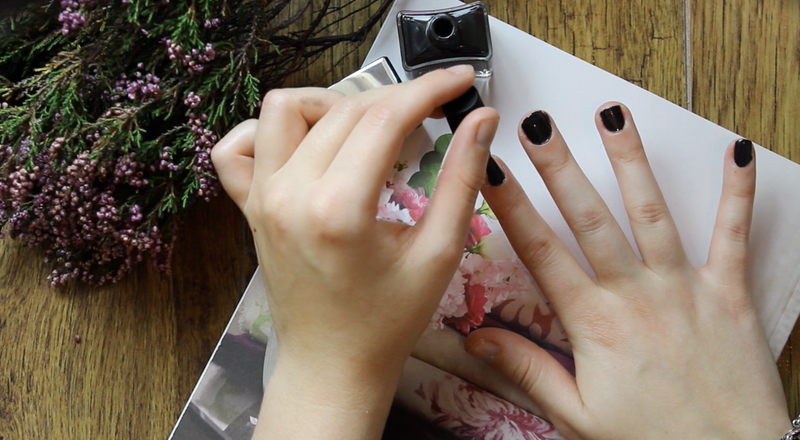 Each of the Alexa nail polishes are £15. I think I might pop back before Winter arrives; Lace would be so beautiful for Christmas. They are so gorgeous! I especially love Cashmere. They're beautiful, very different packaging also! great post! I know, but it's nice to have a little treat :) and they feel so luxurious on the nails!